Furniture purchases for your home demand a hefty investment of time and funds. For every piece to be unique and spectacular, you need to search out for various designs and styles and then select the best from them. However, despite investing so much of time and money, at times, people end up buying nondurable and uncomfortable furniture, a fact that they realize only later. Such dissatisfaction is more commonly seen in living room set purchases; people want them to be impeccable and classy. They consider living rooms the heart of their houses, and therefore, are very selective when going about the purchases. If you don’t want to fall prey to unwittingly buying unreliable furniture and want to make the most of your time and money, follow the tips mentioned below. These will help you to select appropriate pieces for the most important room of your house. The first and certainly the most essential thing to consider are the dimensions of the room. Measure all the dimensions of your living room before going to the furniture store and then look for suitable designs that can easily fit into your room without making it appear over-stuffed. Furthermore, you should also keep their arrangement in mind that all the pieces should accommodate in a subtle and tidy manner, leaving enough space for the traffic to pass. Today, there are increasingly newer designs and attractive styles available in the market, which usually leads to the people being confused on what to purchase. However, since you have already determined the space available in your living room for placing furniture, you should now select the couches or recliners accordingly. Design and durability of furniture are not the only aspects to take into account when buying furniture. As a prudent buyer, you must also consider whether the material of the seat is suitable enough for your family. If you have children in your family who usually eat in the living room, opt for leather sofas that are comparatively easy to clean. Weather conditions should also be kept in mind, as leather furniture becomes uncomfortable and quite sticky during the summers, which can become bothersome for your guests. Once you have bought the sofas for the living room, the next thing to purchase is side tables. Today, even tables have a wide variety that includes coffee tables, ottoman tables, decoration piece bearing tables, etc. Choose a table as per the space left after placing seats in the room. If you are left with plenty of empty space, you can buy tables of variable sizes and designs to uplift your room’s aesthetics. 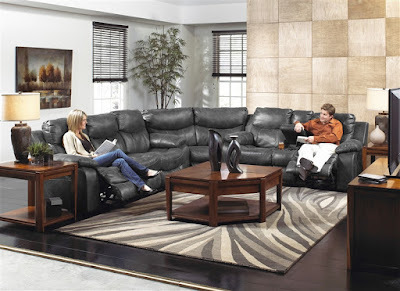 Pricing is a significant factor in choosing a living room set, or any purchase for that matter. In order to get the most value out of your money, determine your total funds before visiting the store and select furniture accordingly.